Whether your limbs have been hiding beneath layers of heavy clothing for months or you’ve been (wisely) trying to stay out of the sun, there are certain times in our lives when we’re looking to give our complexion a glowy boost sans UV rays. We've got good news: You don't have to invest in pricey designer products to get a tan that looks natural. Quality self-tanners are sitting right in your local drugstore, and they've got loyal followings from tons of users who rave about their effectiveness. To make sure you stay in the loop, we've rounded up the best drugstore self-tanners you can find. Keep reading for six self-tanners that won't streak or smudge and give that sun-kissed glow you've been looking for. 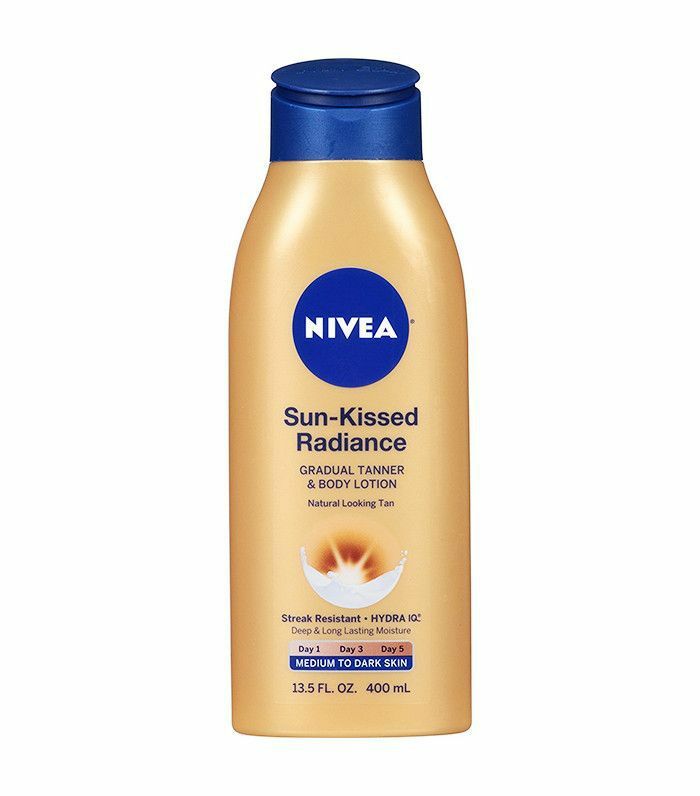 Nivea's self-tanning lotion has overwhelmingly positive reviews on every site it's featured on, from Ulta to Amazon to Target. This tanner goes on as a lotion and adds color gradually, keeping the look natural without worrisome streaking. 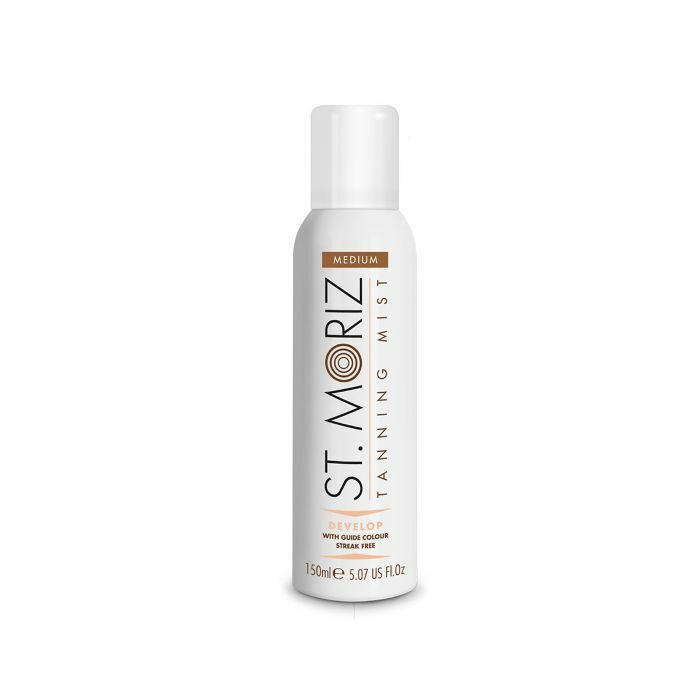 If you regularly spray tan, this is a great product to keep on hand between sessions for even color. 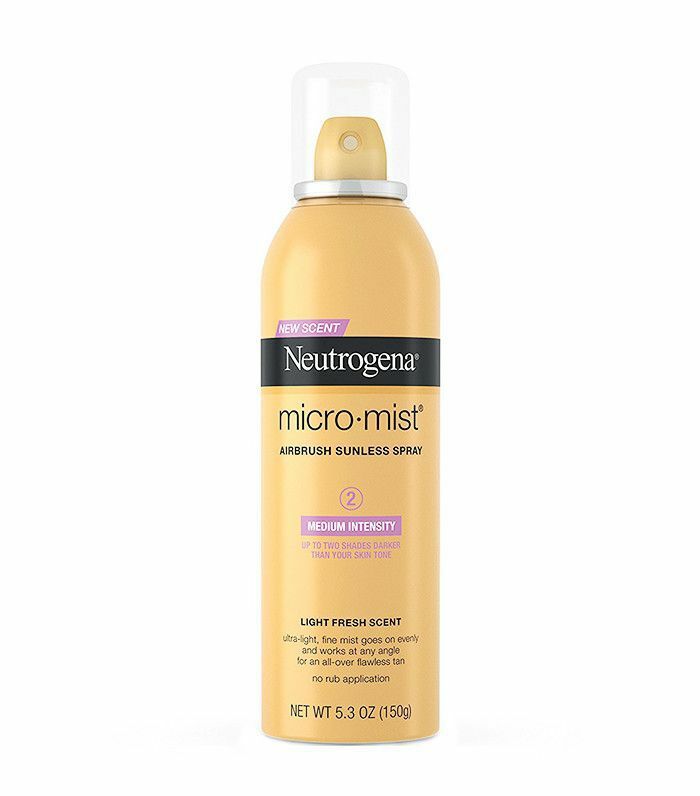 There has seriously never been an easier self-tanner to apply than Neutrogena's Micro-Mist. The brand always delivers dependable skincare, and its self-tanner is no different. The product comes in two colors, from medium to dark intensity, so you can choose the most natural fit for your skin tone. Because it's applied as a mist, the color is delivered evenly and can be built up to deepen as desired. 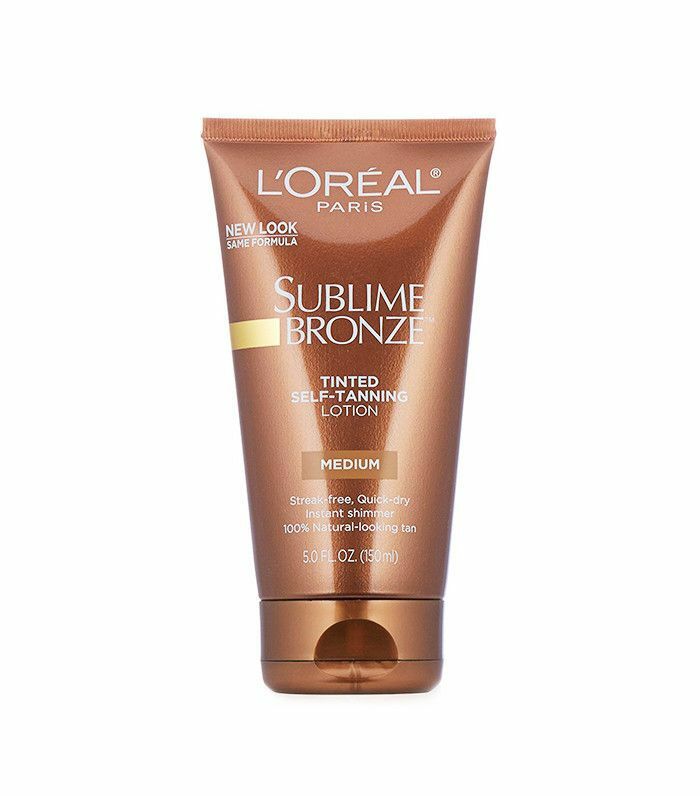 L'Oréal's Subline Bronze self-tanner comes in two formulas: lotion and gelée. This is definitely one of the most immediate products on this list—if you're searching for a very gradual, subtle color, it may be best to opt for something else. 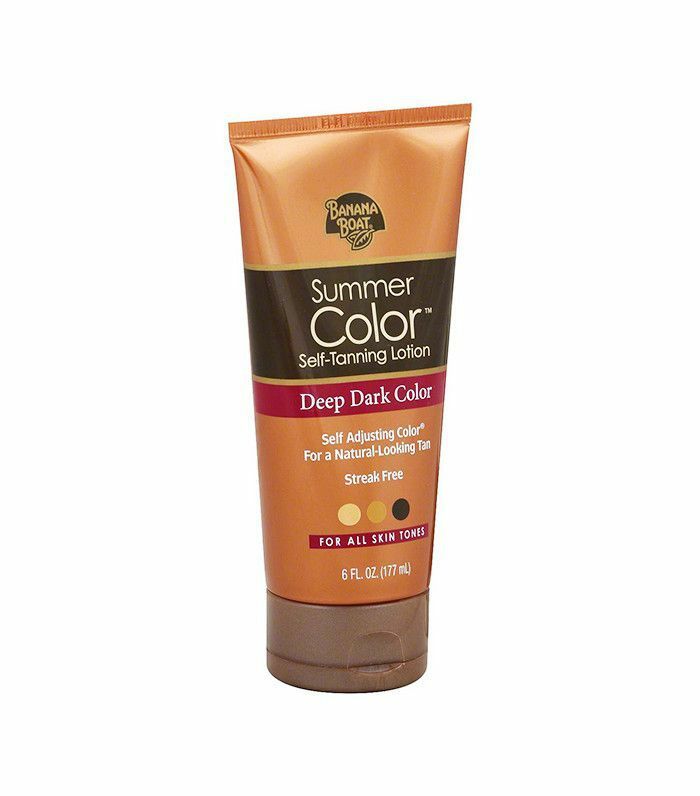 That being said, if you're really looking for some back-from-the-beach color, this is the product for you. We suggest applying it with rubber gloves from the feet up, making sure to apply between fingers and toes. Blend well around elbows, wrists, and knees. With more than 200 glowing reviews on Amazon, Jergen's Natural Glow is one of the best drugstore self-tanners out there. Super nourishing with subtle, buildable color, this product has made Allure's Best of Beauty list for six years running. The product comes in two options, Fair to Medium and Medium to Tan, so you can choose whatever level of sun-kissed you desire. 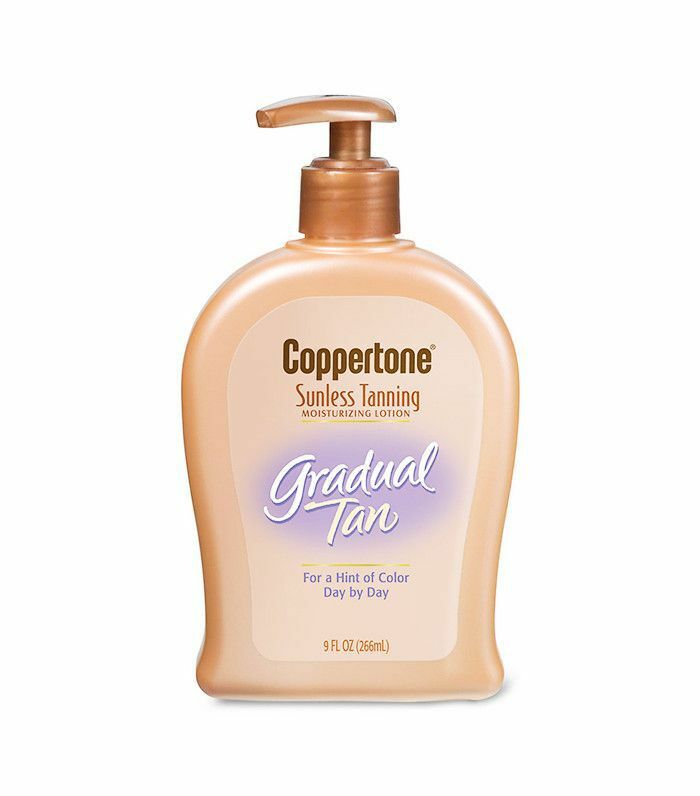 Lovers of Coppertone Sunless Tanning Lotion rave about its natural color and even application. The product works little by little to subtly deepen your natural skin tone. Scentless and fast-drying, this product feels more like a tinted lotion than the typical self-tanner, and it's super-moisturizing to boot. This self-tanner by Banana Boat has more than 450 positive reviews on Ulta, each boasting about its easy application and even color. The product comes in two colors, Light/Medium and Deep/Dark. Apply the product like lotion—it even includes vitamin E and aloe vera to keep skin nourished. Use all over the body and face, or even as a touchup between tanning appointments. This salon-tested, streak-free blend offers a lightweight foam and a no-mess application. It instantly tans as you apply (so it’s easier not to make mistakes) and then develops into a healthy, sun-kissed glow after a few hours. 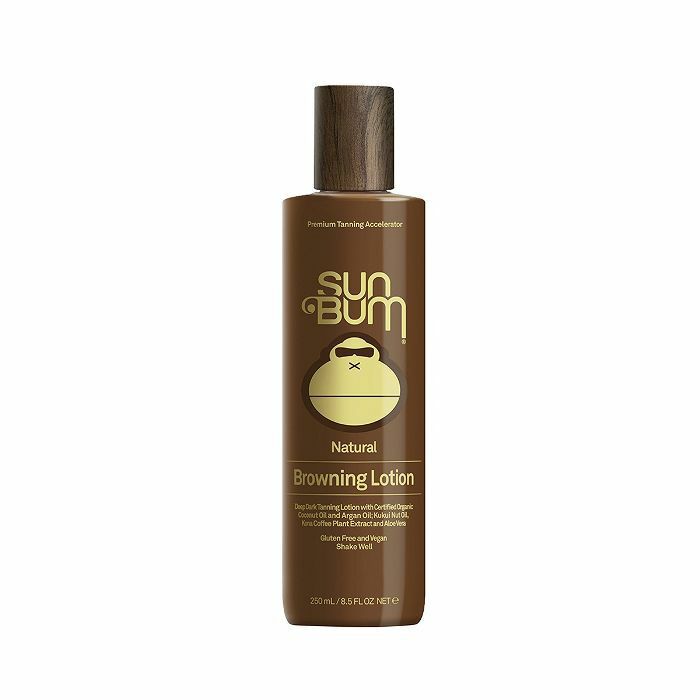 Made with certified organic coconut, argan, kukui nut, marula, and avocado oils as well as aloe vera, green tea butter, and kona coffee plant extract, this moisturizing tanning lotion is especially helpful for those with easily-irritated skin. It's hypoallergenic, vegan, and won’t clog pores while it tans. 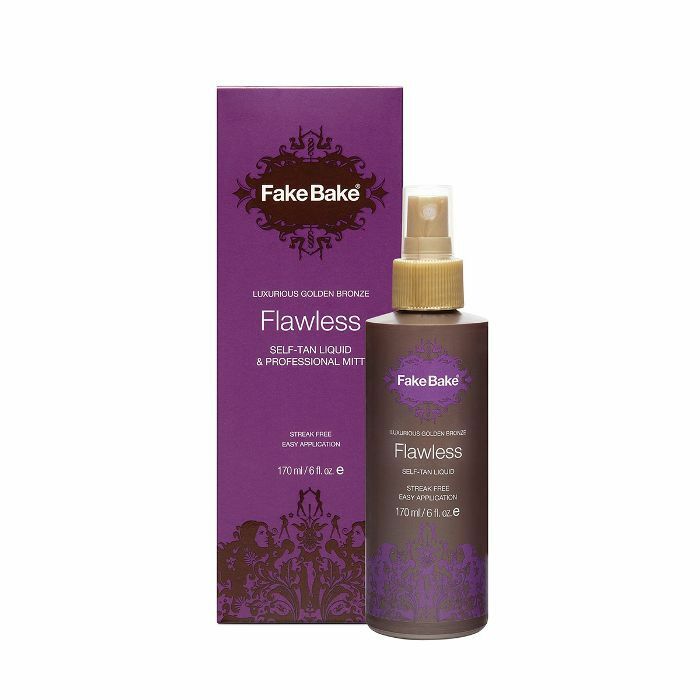 Fake Bake's option delivers super natural-looking color payoff without all the gross stickiness associated with self-tanning lotions. It comes with a built-in color guide so you can see where you’re applying as you go, ensuring foolproof, streak-free tan come four to six hours. 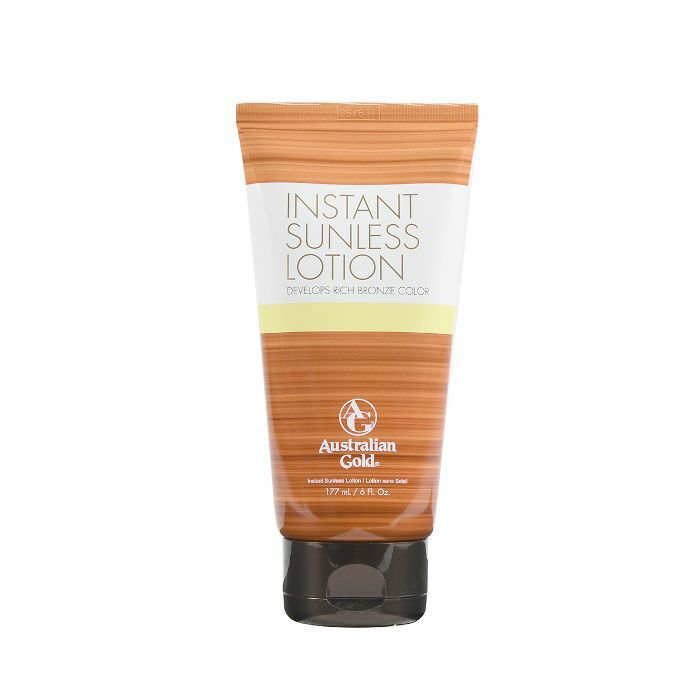 For a balance of tanning ingredients and hydrating skincare, Australian Gold’s sunless tanning lotion delivers. Think natural, golden-looking glow and nourishing, skin-conditioning maka extract and vitamin B (as well as caffeine to energize and tighten your skin). 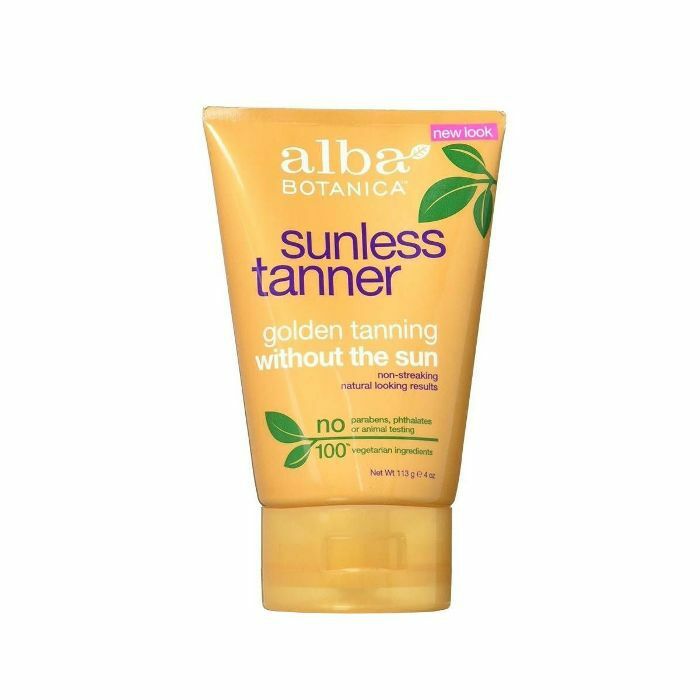 Alba's super fast-absorbing formula offers a faux glow in three hours or less. That, and it's vegetarian and contains no artificial colors, parabens, or phthalates. Discover more of the best self-tanners that are currently racking up a loyal following across the web.